The club arranges a series of walks each year for its members and those interested in walking. Each event has a Start Point where walkers meet at the specified time. Depending on the type of walk (see the general information page) the start time is either a meet and start (ie. 09:00); or a variable start time (i.e. 09:00-10:00). In the case of the former the first walkers gather 15 minutes before the start time and register so that the walk can begin at the appointed time. For the latter walkers can start the event at any time between say 09:00 to 10:00. At the start point there is a registration process which involves reading a "Waiver of Liability" for insurance purposes, then signing the registration sheet. To fill in the registration sheet walkers provide their name and address, sign the sheet and tick off the appropriate box for the distance (5km or 10km) they are choosing to walk. Once this paperwork is done the walkers do the walk. 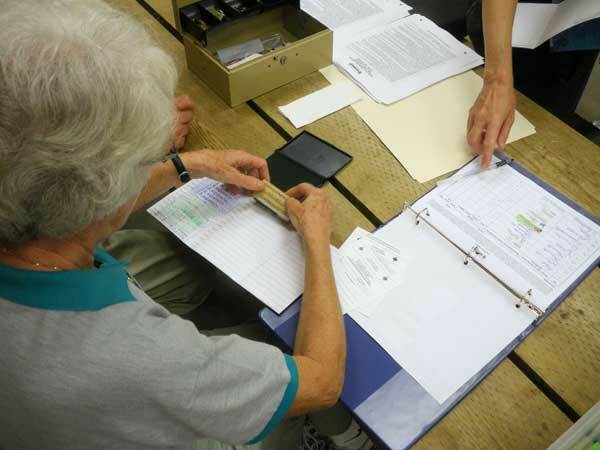 After the walk is is completed award books are stamped and usually walkers go for refreshments and to socialize. All club events offer either a short or long walk. Usually a 5km and a 10 km trail is provided. At a leisurely pace a 5 km walk will take the average walker about 1 hour to complete. A 10 km walk will take on average 2 hours and 10 minutes. Once walkers start walking, checking the directions and/or map, enjoying conversations with fellow walkers or the scenery the distances seem to melt away and the next thing you know you’re at the Finish point and ready for a bite to eat. Check out our Photo Album link at the top of this page for pictures from some of our recent walks/events. One of the advantages of being a member of the CVF/IVV is that there is a distinctive awards program available to walkers who choose to participate in it. This is broken into two paths; first is Events; and the second is Distance. Both use the same event stamp that all sanctioned event are issued. Events: this book collects a stamp for each event that the walker has participated in. Once a walker has 10 events the book is sent in to the CVF Awards Coordinator and the award is sent back along with the original book and a CVF Passport (history of earned awards). This Passport book is required when the walker sends in the next level of award 30, 50 etc. To participate in the awards program purchase the IVV book (Event or Distance or both) for $7 each. Bring your IVV Books to all the walks. But if you forget the books when turning up for an event there are Event/Distance insert sheets so you don't miss out. The club tries to pick start points that are close to restaurants or pubs so that once the walk is complete the walkers can get together for a bite to eat and enjoy chatting with fellow walkers. One of the benefits is that by belonging to the CVF and IVV organizations is access to sanctioned events in over 40 countries around the world. Each year clubs submit their walks (events and YREs) to the CVF for sanctioning. Sanctioned events hold a unique number for each walk, which is used for the IVV Awards Program. The CVF submits all Canadian Clubs events to the IVV who in turn publish them in the ‘World Book’. This book is published every year and contains all sanctioned events in all member countries. 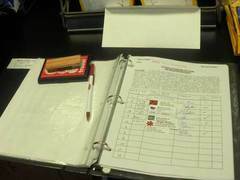 Each entry lists the club name, date of the event, distances, type of event and contact information. So if you’re travelling, there is probably a Club or event near that you can participate in. Usually by sending an email or letter to the club in advance you can coordinate your visit and may even have a host club member meet and walk with you. Any sanctioned walk in another country is eligible to be placed in your Awards (event/distance) book. Yet another memory of a vacation. To access online listing of Canadian sanctioned walks go to the CVF website or check out our Links page to access the IVV walks and other information. One note is that each country has slightly different ways in handle their YRE events so it’s a good thing to ask how they handle it when corresponding with them.